Before and after pictures Jones Abiri, a Bayelsa State-based journalist who was arrested by the DSS in July 2016 and spent over two years in detention before being charged to court. He was released in August. ON July 23, 2016, the Department of State Service (DSS), arrested Jones Abiri, a Yenagoa, Bayelsa State-based journalist, on trumped up charges of belonging to a militant group. Two years later, Abiri now looks more like a walking skeleton. Abiri was arrested in connection a story he published in his local tabloid, ‘Weekly Source’, with the headline: “Governor Dickson’s bad policies wreck Bayelsa”. Another headline in the publication read: “Rumble in the military… Inside the coup plot story”. But the DSS has denied this claim. “Jones Abiri aka General Akotebe DARIKORO was arrested by this Service in Yenagoa, Bayelsa State. DARIKORO is the leader of the Joint Revolutionary Council of the Joint Niger Delta Liberation Force (JNDLF), which has been furthering separatist tendencies in connivance with other criminal gangs in the Niger Delta region,” read the statement issued by the DSS. That statement issued in June 2016 was the last anybody heard about Abiri, until a media campaign begun by Peter Nkanga of the Committee for the Protection of Journalists (CPJ), started mounting pressure on the DSS to release him. Lai Mohammed, Minister of Information and Culture, has defended the DSS, saying that Abiri is not a journalist because he does not belong to the Nigerian Union of Journalists (NUJ). Before and after pictures Jones Abiri after over two years in DSS detention. When the DSS eventually arraigned Abiri, on July 27, 2018, exactly two years and six days after he was arrested, it was at a Magistrate Court in Wuse Zone 2 area of Abuja, on charges of “criminal intimidation”. The DSS claimed Abiri was sending text messages to oil companies in Bayelsa State, threatening them with the destruction of their facility if they refused to cooperate with him. However, when the trial started Abiri pleaded not guilty, but the DSS could not provide a single witness or a single evidence to back their allegations against him. Jones Abiri at the Magistrate Court Premises. The court failed to take cognizance of the fact that Abiri had already spent two years in illegal custody, ordering that he be further remanded in Kuje Prison until he met his bail condition of N2 million and two sureties who must have landed property in Abuja, and be on grade-level 15 or higher in the federal civil service. Abiri could not satisfy the very stringent bail conditions, so he remained in Kuje until his lawyers were able to get the court to give him softer conditions, which is to provide a surety who must be at least a level 8 civil servant with landed property in Abuja or a senior member of the Nigerian Union of Journalists (NUJ) with a landed property in Abuja. Thus, Abiri was eventually freed on Wednesday, August 15, 2018. When his trial came up again for hearing on Thursday, the DSS yet again failed to produce any witness, angering the Magistrate who threatened to strike out the case. Jones Abiri, before and after his two-year detention. Abiri told The ICIR that he was denied any visit by his family members or lawyers and he was not even allowed to speak with his family on phone throughout his two-year detention period. 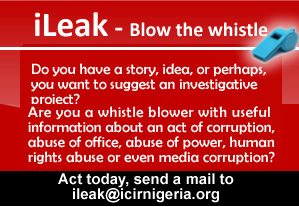 The Muhammadu Buhari administration is becoming more characterised by the suppression of press freedom. Once, a statehouse correspondent of one of the biggest newspapers in Nigeria was prevented from covering the State House. He was later reinstated after a public outcry. More recently, the police arrested Samuel Ogundipe, an investigative reporter with Premium Times and refused to release him unless he disclosed his source. On Wednesday, the police procured a fraudulent court order from a Magistrate Court in Kubwa, Abuja, to enable them to detain Ogundipe for five more days. Ogundipe was released a few hours ago.